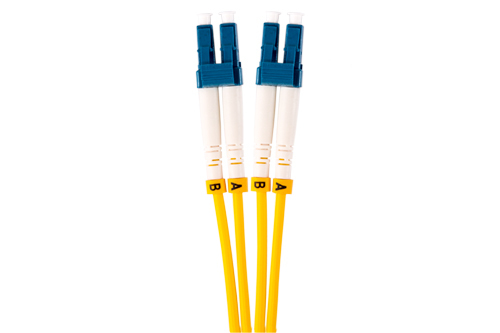 OS2 singlemode fibre optic patch cords are used to connect longer distance networks, between buildings and campuses and in long-distance metropolitan and access telecoms and CATV networks. Manufactured using 50µm multimode fibre optimised for the use with 850nm VCSELS (vertical cavity surface emitting lasers), OM4 multimode patch cords are used particularly in 10, 40 and 100 Gb/s applications, where the transmission distances and higher bandwidth requirements have dictated a need for a higher performance but cost-effective multimode system. 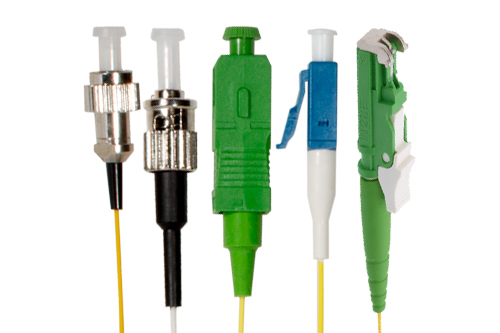 Manufactured using 50µm multimode fibre optimised for the use with 850nm VCSELS (vertical cavity surface emitting lasers), OM3 multimode patch cords are used particularly in 1Gb/s, 10Gb/s and higher bandwidth applications over shorter distances. 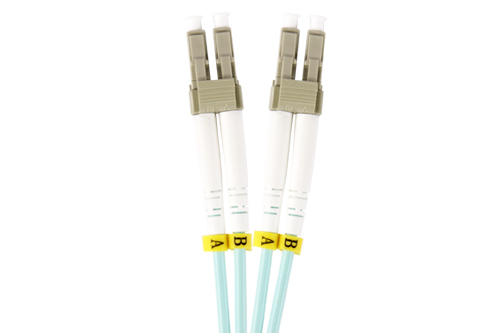 Fibre optic pigtails, suitable for common splicing applications are standardly available in 1 metre lengths on 900µm tight buffered fibre cable.